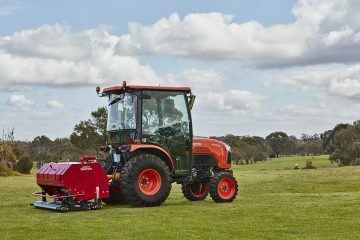 Kubpower, South Australia's Leading Kubota Dealerships. With three sites located at Gepps Cross, Summertown and Naracoorte, with anything from tractors to brushcutters in stock, Kubpower has the tools to suit all your construction, agricultural, power and gardening needs. With Kubota products being our biggest range we don’t just stop there in terms of convenience, Kubpower offers a range of other products and brands for sale, new and used, as well as equipment servicing and genuine spare parts. Kubota excavators are renowned worldwide for their reliability, durability and outstanding performance. 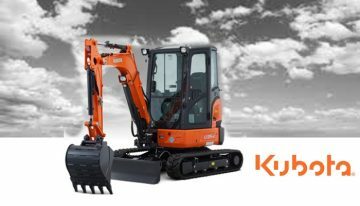 With a wide range of excavators starting from 0.8 tonne all the way up to 8.2 tonne, Kubota offers the most comprehensive range includes both conventional swing and zero turn models. Kubota is the name behind Australia’s most trusted range of mini excavators. KubPower offer a vast range of new and second hand agricultural tractors. From brands such as Kubota, Landini and Antonio Carraro. Get your farmwork done better and faster when you have a tractor from Kubpower Earthmoving and Construction. Croplands manufacture and supply quality spray equipment, components and accessories. 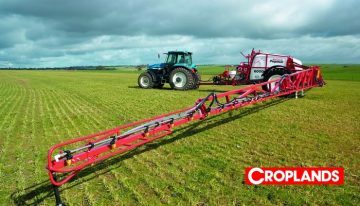 Croplands has been building sprayers since 1972. After operating for 40 years in the Australian and New Zealand environments we understand what the pressing problems are; before, during and after application. Our sprayers are built accordingly. We listen to farmers and produce cost effective solutions to suit their needs.